I want a logo designed for a hair dressing Salon. 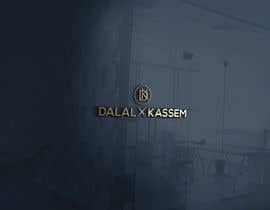 The name of the salon is Dalal Kassem. I would like it to be simple with a small symbol indicating that I am a hairdresser. I like the colors black and gold but I'm open to other colors. Just so y'all know a logo with a circle and DK is owned by DaKine. Probably should check before you submit. Please kindly check #250 #251 #252 and #255 ! Your feedback is highly appreciated! is it for men or woman?